Demystifying E-Transfer casino deposits for Canada and beyond. Today’s top online casinos present their global player base with an endless array of payment options. From all the different brands of credit, debit and prepaid cards, to a plethora of online payment processors and instant banking methods, to digitized crypto-currencies, the list can be so long, players often struggle to decide which to use. 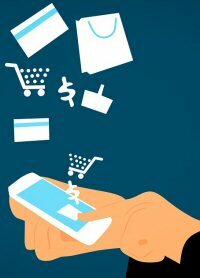 I’ve written a series of material on payment options recently. Today’s focus will be on a group of banking methods that fall under the category of e-Transfers. We’ll start by defining that term, then provide a list of e-Transfer options, along with how and where they work. I’ve noticed a lot of people mistaking this term for a single way to move money, but it’s not. E-Transfer is more of an umbrella term. It applies to any form of payment in which money transfers electronically from one bank account to another. In this case, from the player’s bank to the casino’s. Depositing with e-Transfers of any kind presents several benefits to players. First and foremost, they are extremely secure. The process occurs through a government-regulated online banking service. Banks take their security very seriously, employing state-of-the-art technology and encryption algorithms. The most reputable casinos do the same. All e-Transfers provide customers with instant service, as well. When a payment submits in this way, the bank immediately verifies for the casino that the funds are available. If funds are insufficient, it won’t work – the player receives an NSF decline notice. If sufficient, the casino will credit that amount to the player’s account instantly, despite the fact that the actual transfer of funds can take days to arrive in their bank. So long as casinos know the money is coming, they grant their players access to it within moments. Some forms of e-Transfer are available globally, while others are restricted to a single country. The following is a list of common online casino e-Transfer deposits, categorized by regional availability; (i.e. those that are available in Canada, and those that are not). This deposit option, known as eCheck, or Instant eCheck, is available to residents of most countries around the world, including Canada. An eCheck is the equivalent of a paper cheque, minus the actual paper. To write an eCheck, you’ll need to provide the same information found on a paper cheque, including the bank name and routing number, and your bank account number. EFT stands for Electronic Funds Transfer. In reality, it’s another broad term, meaning basically the same thing as e-Transfer. However, a lot of Canadian online casinos list EFT, or Instant EFT, as a direct payment method. These are essentially bank wire transfers, except that you won’t have to wait 3-5 business days for the funds to arrive. And like bank transfers, the fees can be steep. ACH is often confused with EFT. While they work much the same way, they are quite different. ACH stands for Automated Clearing House, and is only available in America. EFT, on the other hand, is the backbone of the Canadian banking system. An ACH payment is an e-Transfer system, where the clearing house works as an intermediary between customers and banks. The ACH collects all payment requests throughout the day, then processes them all at once, at the end of the business day. 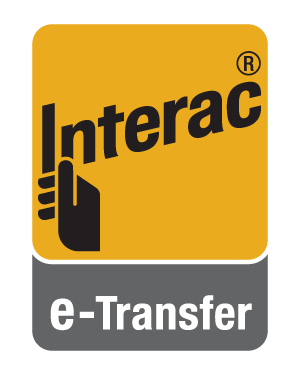 Interac is supported in Canada only. It’s a free e-Transfer service run by 5 major Canadian banks, and networked across most banks, credit unions and other financial institutions across the country. If you have a Canadian bank account of any kind, chances are, you already have Interac. These deposits are vastly secure and highly protective of a player’s personal information. When depositing with Interac, the player need only select the amount to deposit and the name of their bank. They are then redirected to their bank’s online website to complete the purchase. There is only one downside to utilizing e-Transfer casino deposits – that’s all their good for. They are instant, unquestionably secure, and very convenient, but they cannot facilitate a withdrawal. Most players who choose e-Transfer deposits do so because of the heightened level of security and minimal divulgence of personal information. For the same reason, these same players will most often request their cash outs via cheque or bank transfer. If that doesn’t pique your interest, you may want to consider another deposit option.